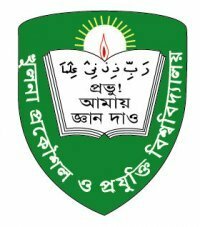 Two separate cases were filed on Monday night against about 350 students and teachers of Khulna University of Engineering and Technology (KUET) for Monday’s violence. SM Jubair Siraj, a student of Electrical and Electronic department and leader of Bangladesh Chhatra League (BCL), filed a case against 40 students and teachers with Khan Jahan Ali thana. vice president of teachers association of KUET, were among the accused in the case filed by him. Abdul Hye, Sub-Inspector (SI) of the thana, filed another case against 250/300 students on charge of attacking and injuring policemen. Sources said activists of BCL and Jubo League aided by police attacked general students on Monday as they protested against corruption over the supply of low quality food at a festival at Amar Ekushey Hall on December 31 and January 1. Twenty five people, including teachers, students and cops, were injured in the incident. Police arrested Saifullah Al Mamun, leader of Chhatra Union, on Monday night. Dr. Alamgir Hossain if their demand was not met by January 8.